Little Green Frog hops out of the swamp, asking "Isn't it possible?" on his search for a way to be special. A flock of geese flew by overhead. "Wow!" Little Green Frog jumped up and said. 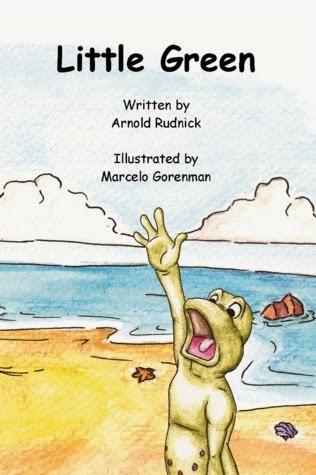 What a lovely, inspiring book for children! 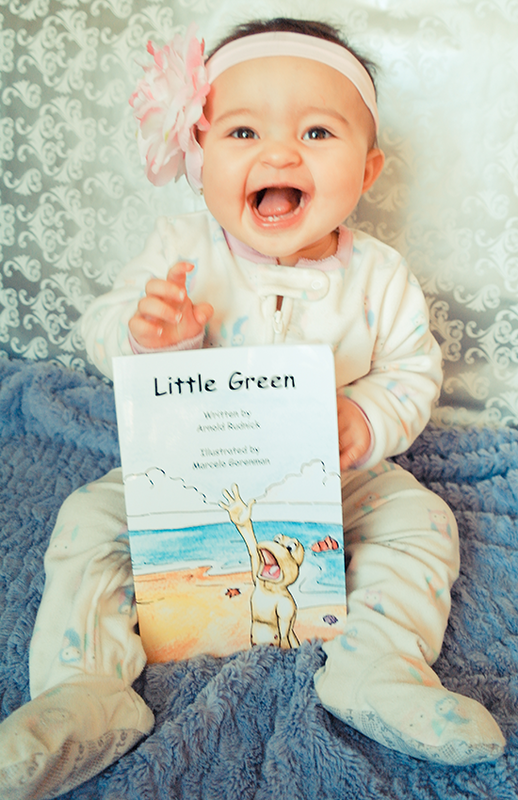 Little Green Frog is eager to learn new skills and explore the world! He's amazed by the geese flying high in the sky and he'd love to join them. He sees horses galloping along, free and wild, and he'd love to run alongside them. He spots koi fish in the pond and admires their agility and grace as they swim around, and he finds himself wishing he could do that, too. But he's told that he can't. He doesn't have wings or hooves or fins. Everything is possible, except for him to fly like a goose, run like a horse and swim like a fish. Little Green is sad and let down, and very, very disappointed. He goes back home and when his father says to all the young frogs that everything is possible as long as they put their minds to it, frustrated he explains "It's a lie!". Thankfully, Father Frog is wise and patient, and he explains to Little Green that almost everything is possible if you believe in yourself and try very hard, except you can never be someone you're not. This is a sweet and charming picture book, more substantial than most children's books out there. There's quite a lot of text, but it's mostly easy to read and it shouldn't cause your children any trouble. 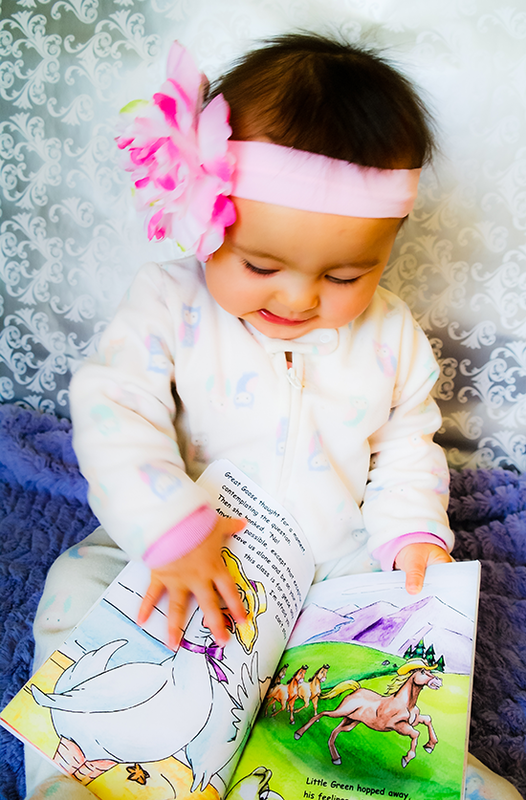 The text rhymes beautifully and has a great rhythm - some sentences are shorter, others are longer, but they all follow a similar pattern that you and your child will enjoy. The illustrations are quite impressive, too, especially the ones of he horses! They're nicely toned down, mostly green and brown colored (very natural-looking), and they fit the story perfectly. Marcelo Gorenman (the illustrator) did a great job, I can't wait to see more of his work! What really stands out is the powerful message this cute little book carries: love yourself, be proud of who you are, believe in yourself and you'll achieve everything you ever dreamed of. I love it! Self-acceptance and identity are two themes at the heart of this story. Nowadays many children struggle with self-esteem, it prevents them from opening up to the world and pursuing their dreams. 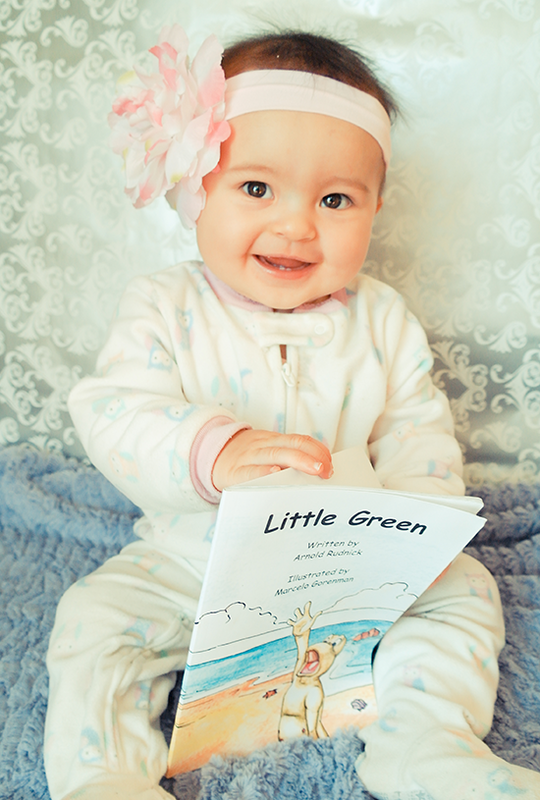 Little Green will help your child understand that everyone is different, everyone is unique, and if we work hard and believe in ourselves, we can do anything. It's a beautiful and important lesson.